Are you running for some beer this St. Patrick’s day? If so, you need this necklace. 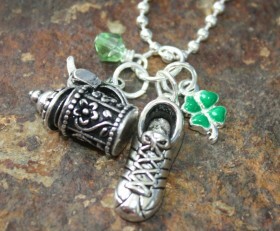 Silver running shoe, beer stein, green shamrock and a green Swarovski crystal. You know you will run faster! 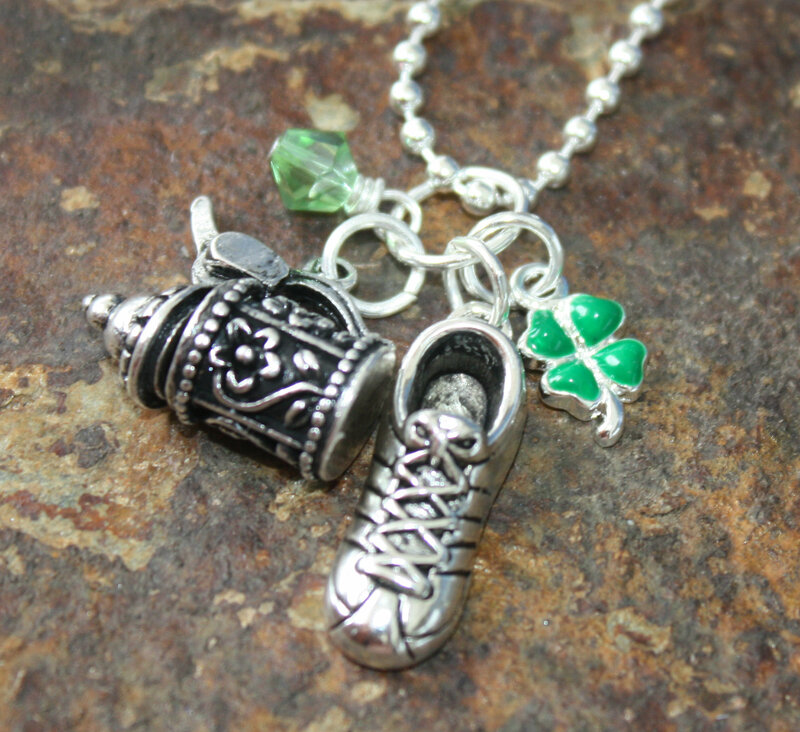 Categories: Holidays, Running Jewelry, Running Necklaces, St. Patrick's Day.